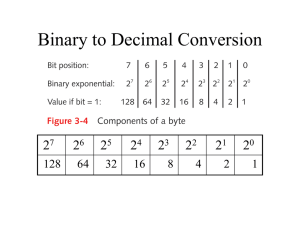 example, a byte is composed of 8 consecutive bits. all modern computers, a byte is equal to 8 bits. Bytes, separated by dots (or periods). This is referred to as Dotted Decimal Notation. that make up the IP Address. an octet (or byte) has a corresponding value. determine the decimal value of that octet. What is the binary notation for decimal 76? bits) represent the Host ID. Dotted Decimal or Binary Notation. 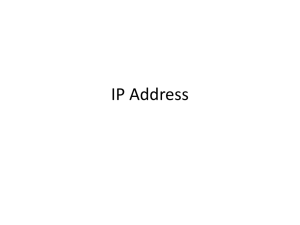 Host ID portion of the IP Address. networks that have not been subnetted. subdivide networks into smaller subnets. the number possible networks (subnets). that a given organization needs to support. 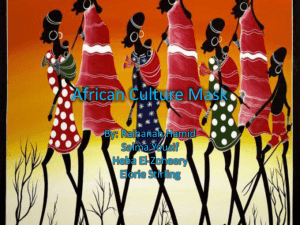 And how to we distribute it? hosts that would ever be connected to the internet. 232 equals 4.3 billion different addresses. with classes D and E reserved for special use. in either Binary or Decimal notation. value of the first octet in the IP address. Network ID, and which octets represent the Host ID. The remaining octets represent the Host ID. And what do they mean? Range of values in the first octet. 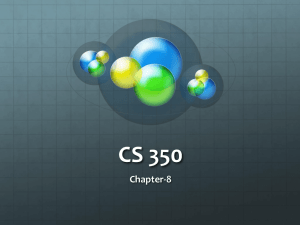 Number of networks available in a class. Number of Hosts available per network. how the high order bits are set for each class. High order bits are any number of leftmost bits in an octet. bit in the first octet is always set to 0. So, for a class A network ID…. order bit is set to 0.
for a class B network ID…. octet for Class B is 128 thru 191.
order bits are set to 10.
for a class C network ID…. octet for Class C is 192 thru 223.
order bits are set to 110.
available in each class is determined. remaining bits to use for network IDs. Network Ids in a class A space. only 14 remaining bits to use for network IDs. only 21 remaining bits to use for network IDs. network is determined for each class. the host ID, meaning 24 bits are used for the Host ID. or all 0s (represents a network ID). the host ID, meaning 16 bits are used for the Host ID. the host ID, meaning 8 bits are used for the Host ID. the three IP Address classes. used for the network ID portion of the IP Address. address indicates the network ID. What we’ve seen so far…. 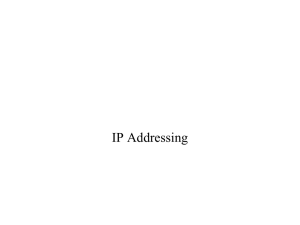 portion of the IP address. reduces the number of hosts available. are used for the network ID. the decimal value of 192? many subnets did we create? many hosts on each subnet? By borrowing 3 bits, we create 6 subnets. the value of the lowest bit borrowed. By borrowing 2 bits, we create 2 subnets. 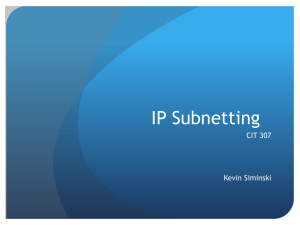 The 64 subnet and the 128 subnets. 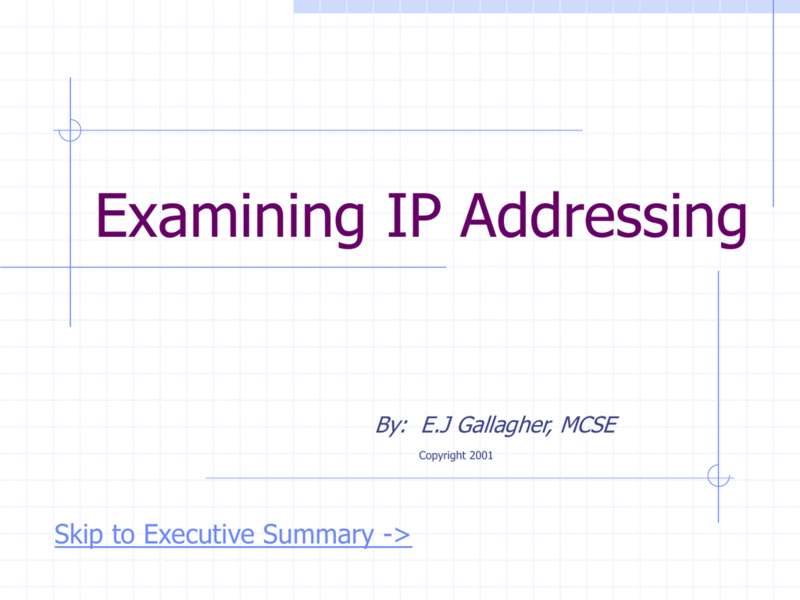 What part of the IP Addr are we solving for? What is the Addr Block Start? borrowing 8 bits from the host ID. media access to be interconnected. 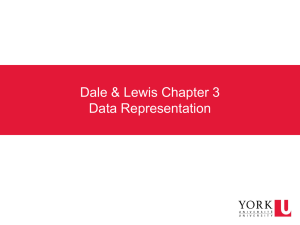 Determine number of network Ids required. network and host Ids required. Define the network or subnet Ids to be used. 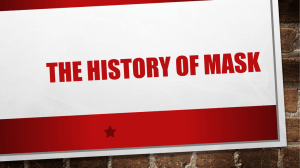 Yeah, it is, but check this out…. Permits very few variations in network sizes. into a larger variety of sizes. Uses CIDR (or Network Prefix) notation. Few IP addresses go unused. 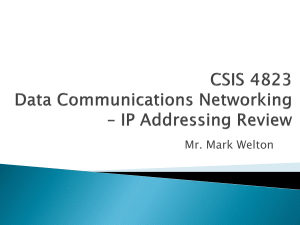 Analyzing an IP address in CIDR notation. 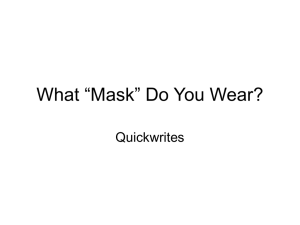 What “Mask” Do You Wear?